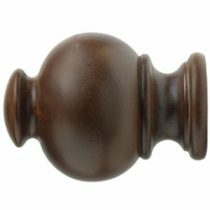 Kirsch Wood Trends decorative finial available for 1-3/8″ and 2″ drapery rods. Available in pre-finished colors. 1-3/8″ is sold by the pair. 2″ finials are sold individually. Available in several colors. 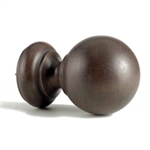 Kirsch Wood Trends decorative finial available for 1-3/8″ drapery rods. Available in pre-finished colors; white, mahogany, and coffee. 1-3/8″ is sold by the pair. 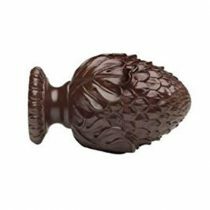 Kirsch Wood Trends decorative finial available for 1-3/8″ and 2″ drapary rods. Available in unfinished and pre-finished colors. 1-3/8″ finials are sold by the pair. 2″ finials are sold individually. 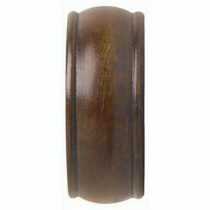 Kirsch Wood Trends decorative end cap available for 1-3/8″ and 2″ drapary rods. Available in unfinished and pre-finished colors. 1-3/8″ and 2″ end caps are sold by the pair. 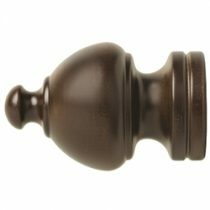 Kirsch Wood Trends decorative finial available for 1-3/8″ and 2″ drapary rods. Available in pre-finished colors. 1-3/8″ finials are sold by the pair. 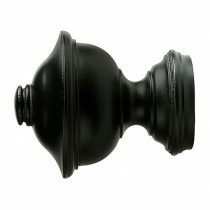 2″ finials are sold individually.